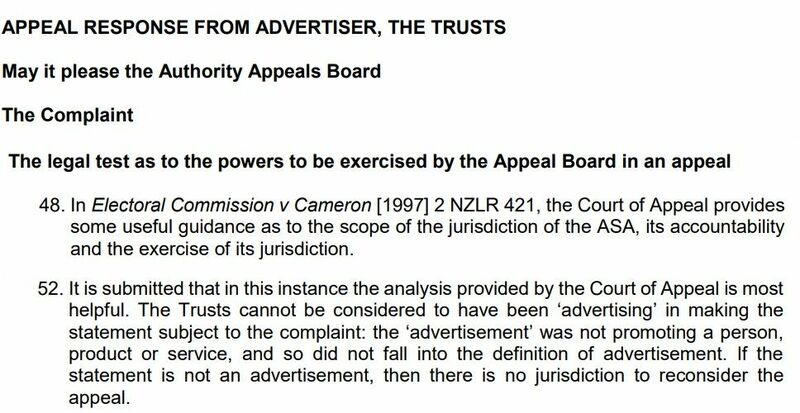 On Wednesday, the Advertising Standards Authority (ASA) published its decision about my complaint/appeal against The Trusts. The blog post discussing the complaint is here and the post discussing the initial ASA decision is here. To re-cap, the complaint was about this statement which appeared in pamphlets, on screens in-store, in the Our West magazine and on the website (and perhaps other places too). It was very prominent in their marketing. We requested the raw data from the NZTA and checked it out. 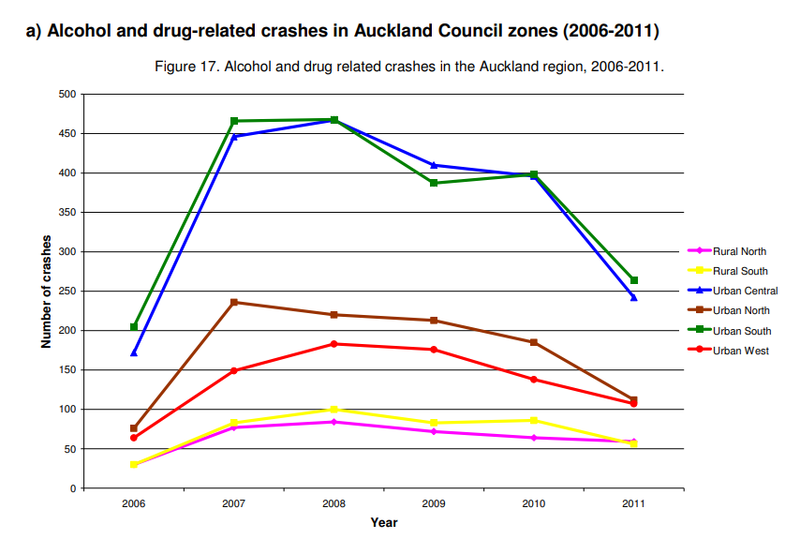 Yes, the number of crashes was lowest in West Auckland – but only because West Auckland has the lowest population. When the regions were compared properly, West Auckland actually had the worst record of the urban areas. The ASA initially ruled (in a split decision) that the advertisement was misleading but was ‘saved’ because it was advocacy advertising. On appeal, the ASA ruled (unanimously) that The Trusts’ claims were sufficiently misleading that they were not ‘saved’ by the advocacy principles. It’s the sort of thing you’d expect from fringe groups like the anti-vaccination or anti-fluoride lobby. I can’t find any examples of a public body being caught-out for misleading advocacy advertising like this before. It goes to show just how difficult it is to hold our licensing trusts accountable. The ASA does not actually impose any penalties – the reputational damage is the only consequence. 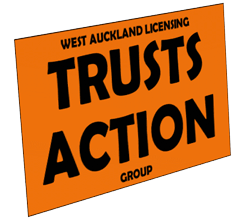 With most media outlets (so far) disinterested in our licensing trusts, the vast majority of West Aucklanders will be unaware of what they’ve done and so that consequence is even less than a slap on the wrist. Regardless of the lack of media coverage, it remains a good result and hopefully puts The Trusts on notice. Should they wish to make similar claims in future they need to be able to substantiate those claims. One of the great things about the ASA process is that the submissions from the complainant and the advertiser are all published with the decision. Anyone can read my complaint and they can also see how The Trusts have responded. My complaint got a bit complicated due to the appeal so the decision document is a hefty 26 pages. There’s some great stuff in there though so I think it’s worth pointing out some of the best bits. For those who want to go the full Monty and read all 26 pages, the document is here. The Trusts consistently referenced this graph as the substantiation for their claim (taken from an ARPHS report published in Feb 2012). This statement from Simon is an absolute cracker. 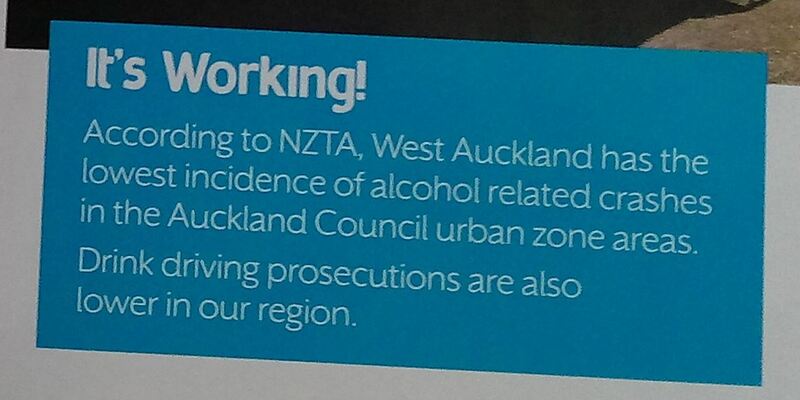 Firstly, despite his claim that they simply “repeated a… statement”, the ARPHS report does not make ANY statement in the text about West Auckland having the lowest incidence (or even the lowest number) of alcohol related crashes. The word ‘incidence’ does not appear anywhere in the ARPHS report. The claims made by The Trusts in their advertising are their own words substantiated only by the graph above (Figure 17). Simon also declares that their interpretation of that graph was that the difference between urban west and the remainder of urban Auckland was due to the number of alcohol outlets. In my view, that’s not a credible interpretation of that data. That claim has been very prominent in their marketing, so it seems likely that several staff (and perhaps some elected members too) would have seen the report/graph. What Simon is saying is that they ALL looked at that graph and thought “wow, what a difference a few bottle stores makes!”. None of them questioned that interpretation and prompted them to dig into it any deeper. Remember that this isn’t a throw-away comment. This is in an affidavit. Is Simon’s explanation credible? You be the judge. So much good stuff here. I don’t run WALTAG. My blog post DID include a link to the full decision document. Neither my blog post nor my complaint diminishes the work of the ASA, ARPHS, Police, Council or NZTA in any way. At no stage has the quality of the NZTA data or the content of the ARPHS report been questioned. The only problem here is The Trusts and the misleading statements they have made in their advertising. How long have they been saying this? From this statement, it appears The Trusts have been making this claim since 2012. So that’s just six years they’ve been misleading the public. Awesome. In case you were wondering, Simon Wickham has been CEO since 2011, Ross Clow President of Portage Licensing Trust since 1999 and Linda Cooper President of Waitakere Licensing Trust since 2010. The Trusts lawyered up immediately and threw every possible angle at the ASA to avoid an adverse decision. They questioned the jurisdiction and legal powers of the ASA. The Trusts claimed that the statements in question were not advertising. They accused me of being a competitor and therefore ineligible to make a complaint. They argued I was not an ‘expert in the field’ and therefore my complaint lacked merit. They threw everything they could find hoping something would stick. What a massive waste of money. I’m not sure how I should interpret this but I’m hazarding a guess that someone there doesn’t like me very much. I guess I can take some solace in knowing that they’re at least reading the blog. The Trusts remain unrepentant about this advertising and are implying the decision relates to the age of the data or failing to reference the data source. Neither are true and it would be great to see the media calling them out on this. It would also be great to see the media applying some pressure to the elected members who have managed to remain silent so far. I struggle to believe that they are all comfortable with what The Trusts have done here and the way The Trusts / Simon Wickham have handled the complaint. On a side note, it’s perhaps interesting to reflect on the way The Trusts have chosen to attack my motivation and credibility in their submissions. Is it appropriate that a public body makes use of its substantial resources to attack a member of the community who simply advocates for competition and is subjecting them to some scrutiny? I certainly don’t enjoy it.